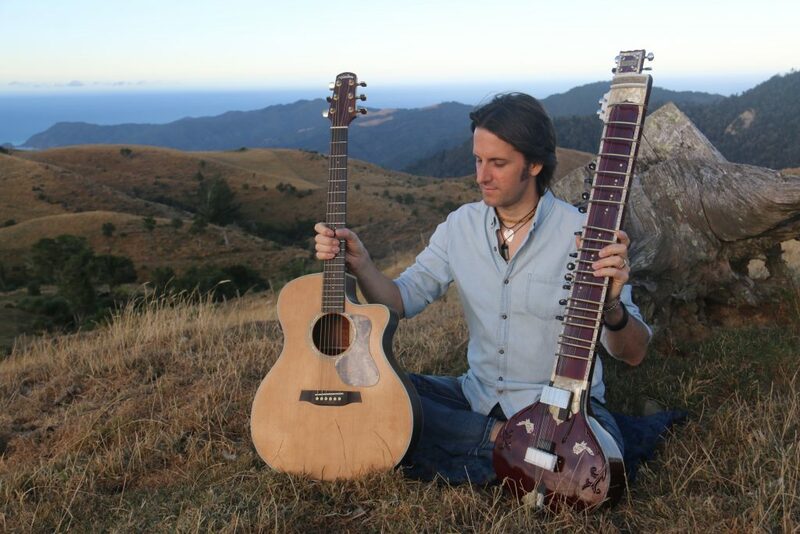 After 17 years of sitar study and festival performances around the world, Prosad’s one-man show features guitar, sitar, Indian flute, didgeridoo and lead vocals with layered harmonies. From lush soundscapes, to contagious reggae grooves and inspiring lyrics, Prosad loops everything live and takes you on a journey of the soul. For Prosad, life in music is international, spiritual and full of good vibrations. He’s a multi-instrumentalist and singer who has travelled the world sharing his unique blend of sitar, guitar, reggae and world music. Inspired by legends like George Harrison, Prosad seeks to create a spiritual vibration in the mainstream music of his generation by blending Indian instruments with the western influences of rock, reggae, folk and blues. 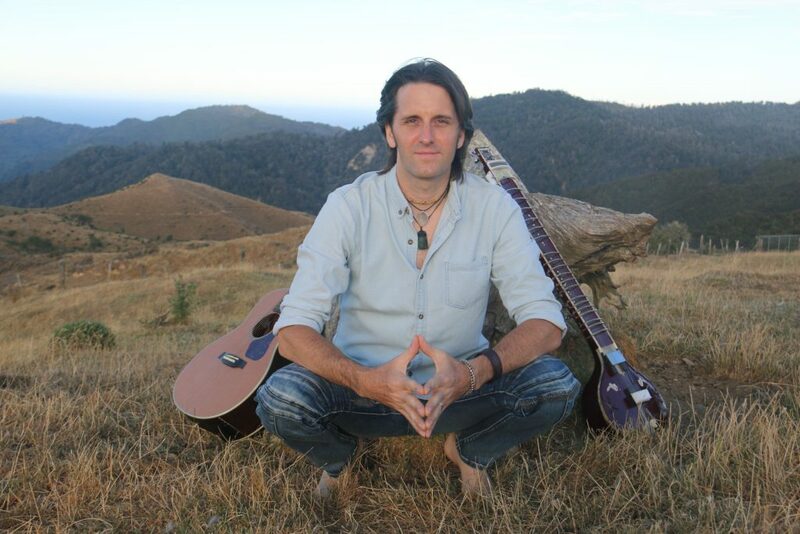 On stage, Prosad is far outnumbered by his musical instruments but he brings them all together with looping: recording guitar, bass, sitar, flute, didgeridoo and more while soloing and singing over his spontaneous creations. He has performed in New Zealand, Australia, India, Holland, Paris, Portugal, Italy, Hawaii and many other countries. A career highlight was performing in a stadium of 50,000 people at the Dhaka International Folk Festival in Bangladesh. The next day in the hotel, people were humming his melodies. During his travels, Prosad has collaborated with great artists like Grammy Award winner Chris Berry, Australian legend Xavier Rudd (on his album Spirit Bird) and many others. 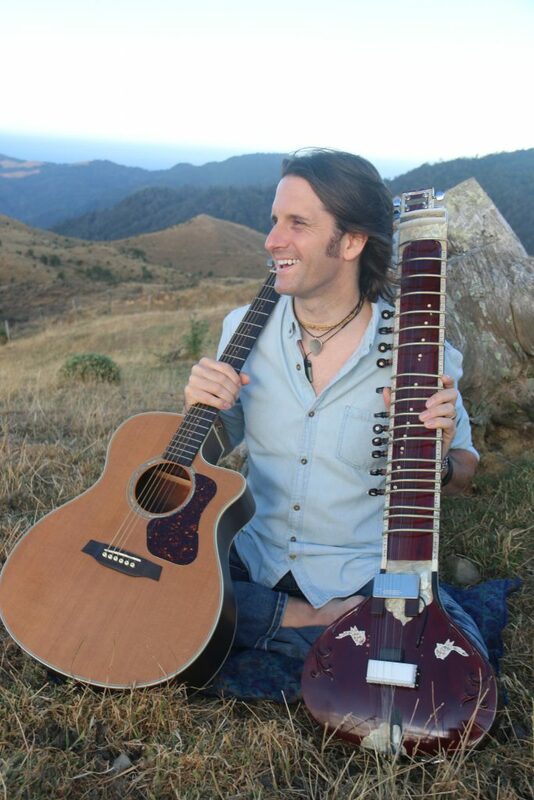 He’s been called “the Jimi Hendrix of electric sitar” and the “Jason Mraz of reggae”. 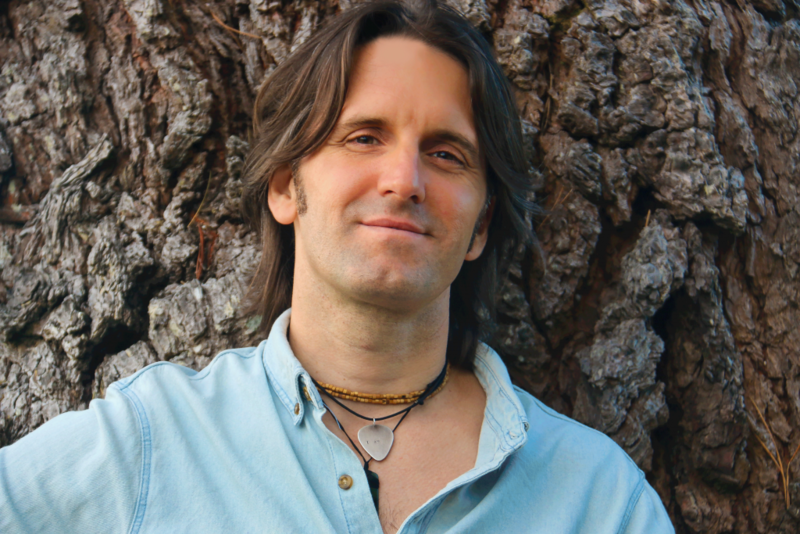 In his latest album, Prosad concentrates on combining all of his eclectic musical passions – mixing electric sitar with reggae and world music, creating a unique style that stretches the boundaries of musical genre. Artists like the Beatles, Bob Marley and Trevor Hall have each influenced his song writing. All of these musicians have successfully shared a spiritual message through their music and reached the mainstream. Prosad is here to do the same. 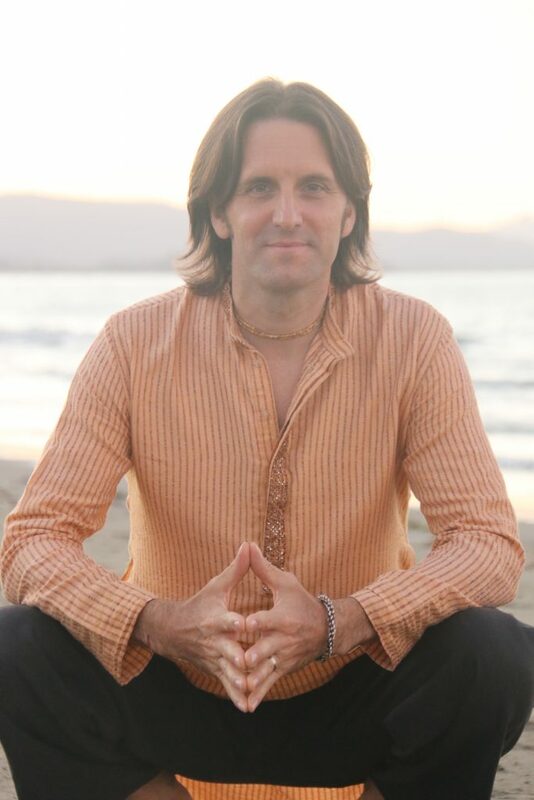 With the addition of fifteen years of sitar study and inspired by the twenty plus years he spent studying with his spiritual teacher from the Himalayas, Prosad has a unique style of music and wisdom to share. “We create our own reality and we can manifest our dream-world together as one human family”. Contagious and uplifting: That’s Prosad’s vibe. 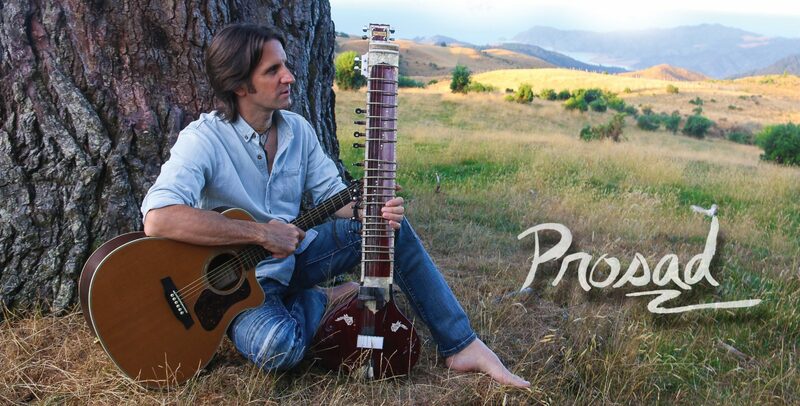 Through ancient ragas, vedic mantras and special tonal frequencies, Prosad takes his audience on a journey inward – where we begin to awaken to our highest state of being. The world is truly made of sound and vibration; by tuning to resonant frequencies, we can tune our bodies and our minds and bring ourselves into alignment with our highest purpose, deepest happiness and ultimately our power as creative beings. Prosad has spent the last seventeen years studying traditional sitar and raga music with Alam Khan, son of the legendary master, Ali Akbar Khan Sahib. He has also also spent the last twenty two years studying mantra and the music of the inner spheres with Himalayan Master, Tulshi Sen.
For Prosad, life in music is international, spiritual and full of good vibrations. He’s a multi-instrumentalist and singer who has travelled the world sharing his unique blend of sitar, guitar, reggae and world music. Inspired by legends like George Harrison, Prosad seeks to create a spiritual vibration in the mainstream music of his generation by blending Indian instruments with the western influences of rock, reggae, folk and blues. Born in Saskatoon, Saskatchewan, Prosad left home at 19 to study jazz guitar at Humber College in Toronto. There he met his first sitar teacher, Shambhu Das, a disciple of Ravi Shankar who was George Harrison’s sitar teacher. After completing his studies in jazz guitar and studying traditional Classical Indian music, Prosad left Canada to share his music with the world. 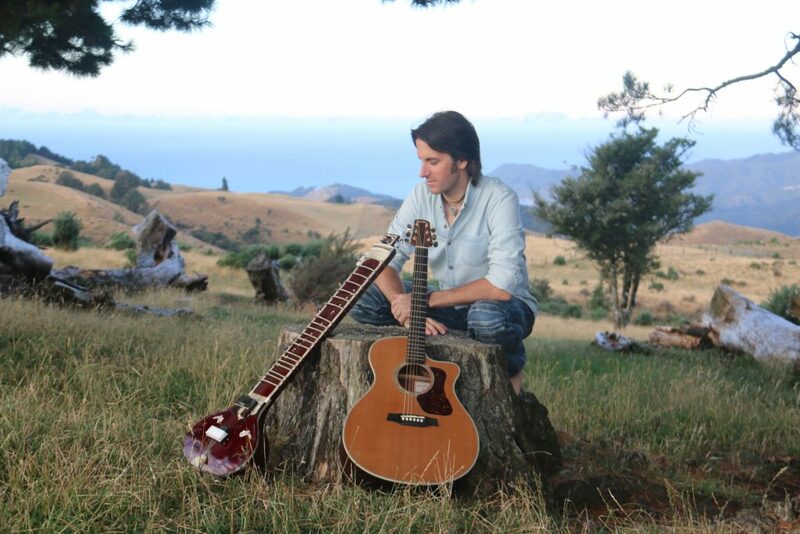 He has performed in New Zealand, Australia, India, Holland, Paris, Portugal, Italy, Hawaii and many other countries. Expanding his talents, he’s also learned bansuri (Indian flute), didgeridoo (also called “Yidaki” a traditional instrument from Australia), saxophone, melodica and African djembe, to name a few. Performing live, Prosad can draw on more than half a dozen unique instruments. Among his audience members has been the British monarch Prince Edward, the Earl of Wessex. 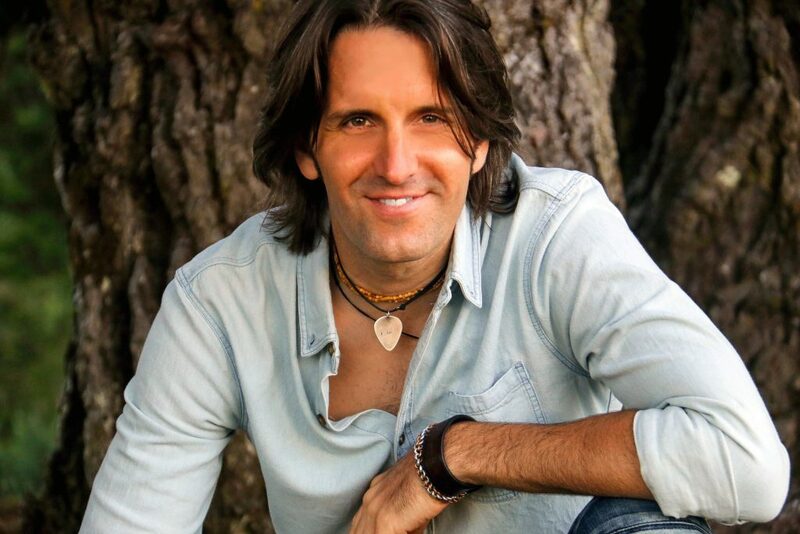 In the studio, he has recorded eight original albums and three collaborations. Two of his sitar fusion songs have been used in Hollywood movies, including The Love Guru with Mike Myers. He co-produced, mixed and mastered the album Samanvaya Kirtan, which was nominated in the Western Canadian Music Awards for Spiritual Album of the Year in 2015. Over the last decade, Prosad has continued his classical music studies with Alam Khan, son of the legendary Ali Akbar Khan Sahib. 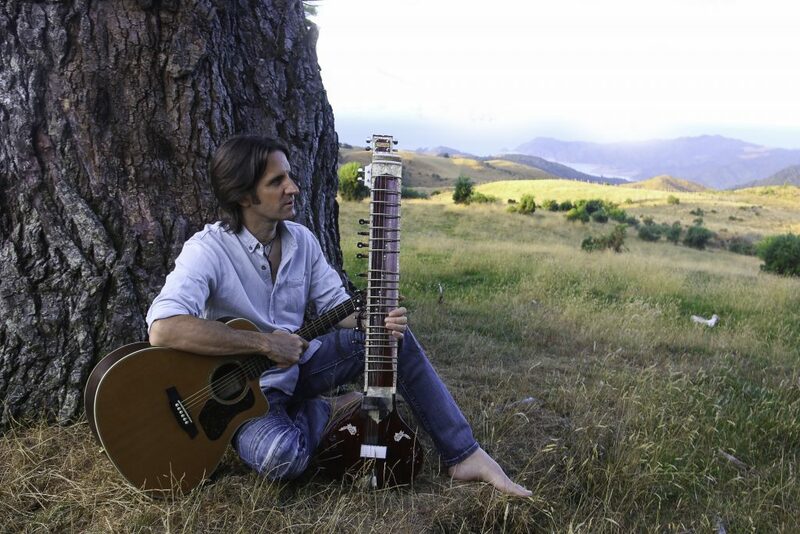 He has studied meditation music from his spiritual teacher and mentor Tulshi Sen. And he has released acoustic folk albums and world-fusion sitar albums. On stage, Prosad is far outnumbered by his musical instruments but he brings them all together with looping: recording guitar, bass, sitar, flute, didgeridoo and more while soloing and singing over his spontaneous creations. He is often supported by a percussionist or tabla player to add flare and energy to the performance. 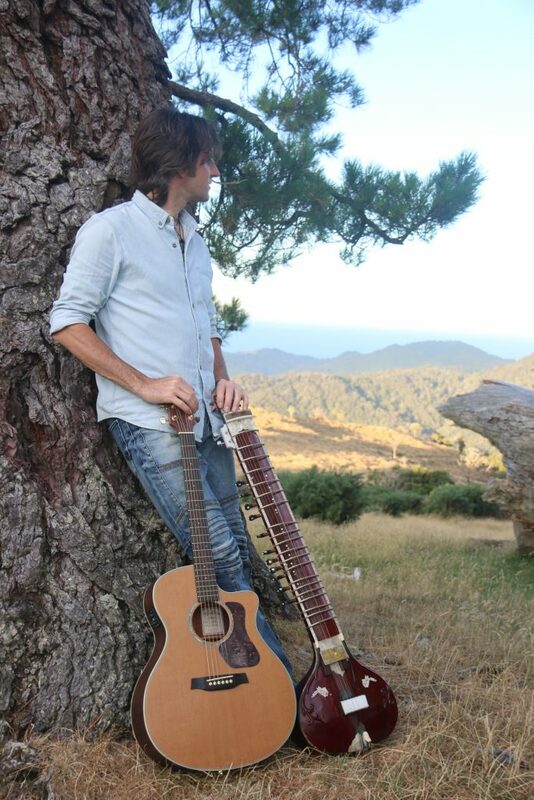 Prosad’s style has evolved over the years to truly mesh all his passions: east and west, spiritual and rock n’ roll, sitar and guitar….